If you are like most people, you regard vision as your most important sense. With over 60 years’ experience combined, Dr. Lawrence S. Kahn and Dr. R. Stuart Eason practice ophthalmology in the Mesa/Gilbert area. 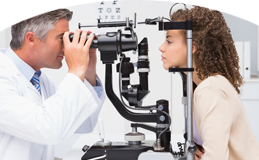 Each is a board-certified ophthalmologist committed to providing quality eye care services and vision care with a personalized, compassionate touch. We pride ourselves on our impeccably trained doctors, who provide the most up-to-date treatments available. 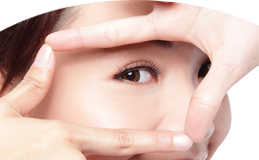 Desert Vista Eye Specialists provides a full range of eye care services, including a comprehensive eye exam, children's eye care, LASIK surgery, refractive surgery, no-stitch cataract surgery, glaucoma treatment, diabetic retinopathy care and other diseases of the eye. We also deliver expert vision care, including a complete eye exam, eyeglass frames and lenses to improve vision and correct astigmatism for people who are farsighted or nearsighted.